Here we review what we believe to be the best models of manual or hand held grass trimmers in the UK market right now. These hand held devices come in a few different types. 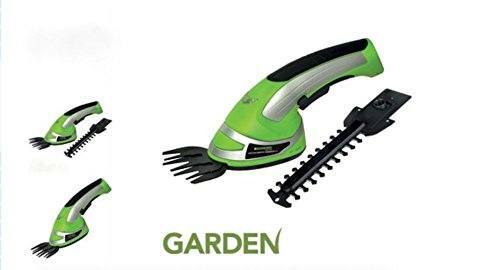 They are ideal for those who like to tend to their lawn with some care. 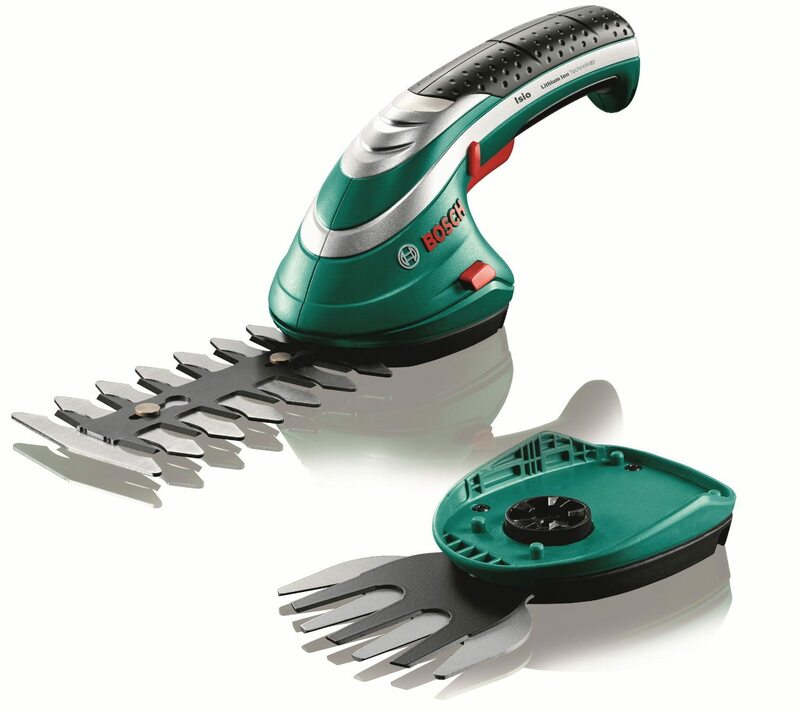 The electric trimmers are great for getting the job done quickly. However they can also spread grass all over the place, and also damage the lawn and flower beds, if not used properly. With a manual trimmer, you will be slower, but the tidy up will be much faster, and you can be really fussy about the look that you want. What Are the Different Types of Hand Held Trimmers? Let's have a look at what is available for cutting grass, trimming edges and trimming shrubs and bushes. The most popular choice at the moment is the cordless style. They operate off a rechargeable battery and do a fabulous job, in my opinion. You do of course have the normal grass shears, the cutter/lopper style​ and the classic garden shears. 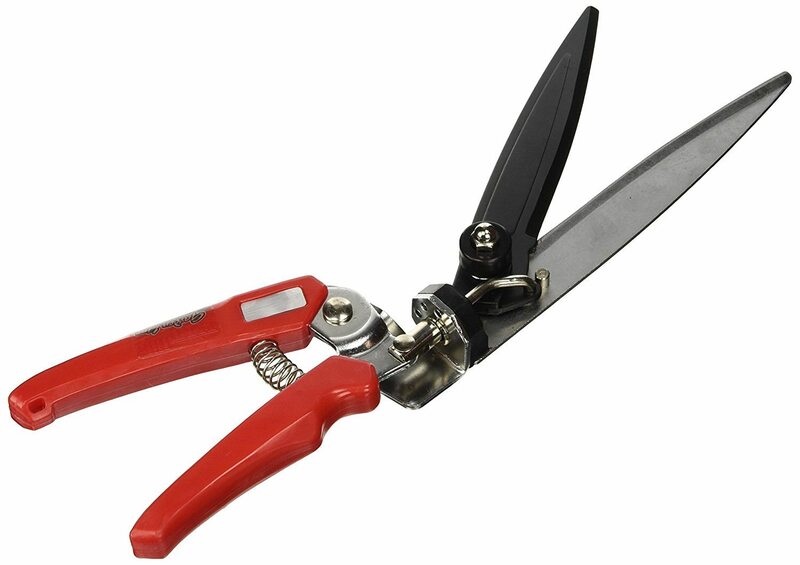 For the tougher jobs like pruning, there are also pruning shears. Let's have a look at each type in a lot more detail. It depends on what task you want to get done, and how quickly you want to achieve that. These have burst into popularity. They give you all the benefits of hand clippers, but with the assistance of a powerful battery. 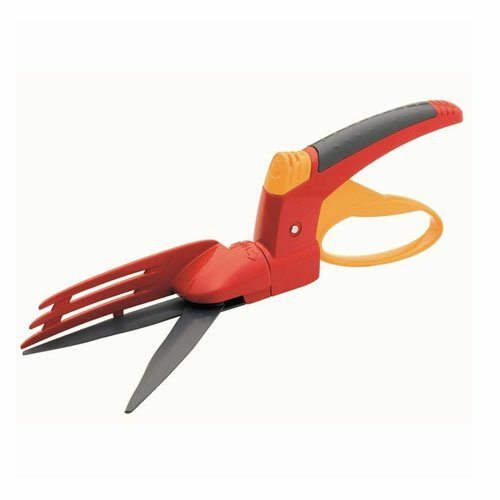 You can buy shears like this which are operated by hand. In other words you pull on a lever, and that makes the blades move, and cuts the grass or trims the edge of a lawn or flower bed. Using a manual one like this means the grass drops off, but it is easy to quickly tidy it up.​ All of them are a one handed operation. These cost around £15-20, work great. The big disadvantage is that you have to bend over to use them, and they can get sore on the hands after a while. 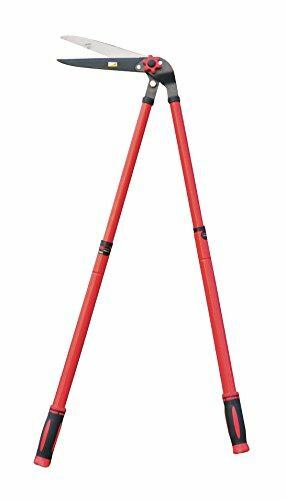 ​Most people will be familiar with these long handled or telescopic lawn edgers. For any gardener who likes a nice tidy lawn edge, and doesn't want a bad back, these are the ideal solution. Due to the length of the handle, you can easily stand, and allow the blades at the bottom to trim the edges. You will find these in homes up and down the country. Any gardener who has had a bad back, is very likely to own a set of these. Some people also use these to trim grass where the mower can't reach, but they are no really designed for that. They vary a bit in price from as cheap as £15, and up to £50 for a high quality pair. If you don't already own a set of these, I will bet your parents or grandparents do. Before the invention of anything electrical, these were all that were available. I still find these really useful for certain areas of my own gardens. Again, like the shears above, these have been around for many years. 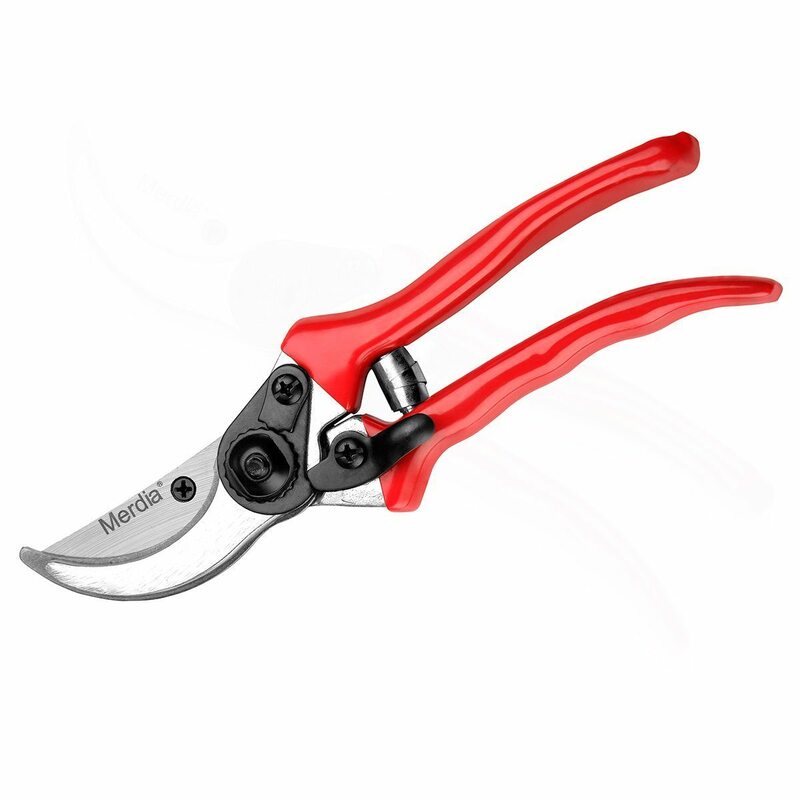 They were initially designed for gardening tasks like pruning roses. In these modern times they are very cheap and most of them cost under £5. The better quality ones will cost around £15-20​ for a good brand. Some people do use these for doing the edges of lawns but I find they don't work that well. It isn't what they were designed for, and it is just hard work using them for this task.